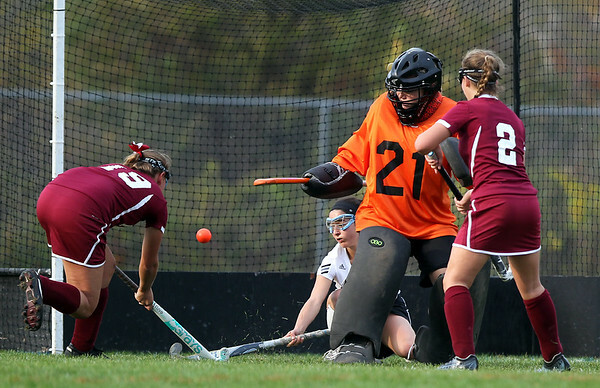 Gloucester junior Matilda Grow (19) manages to beat Ipswich goalie Sydney Pignone (21) with her shot which put the Fishermen up 2-1 on Wednesday afternoon in their D2 North first round game. DAVID LE/Staff photo. 10/29/14.